I bought this book to help with my outdoor sketches. The book is roughly divided into three parts. The first talks about the materials. The examples featured mainly uses pencils, ink and watercolour. The second part looks at drawing small subjects like bricks, tiling, textures. The last part explores various building styles. The coverage on perspective is very basic. There are the usual 1, 2 and 3 point perspective all covered in 6 pages. I was expecting more from a book on buildings. There aren't any tips on dealing with tricky perspective, like drawing buildings with vanishing points off the paper. There are plenty of drawing tips accompanying the examples. Those are helpful and the techniques are easy to follow. The downside of the book is it doesn't teach you how to observe proportions, and the examples are mostly on observational drawings. 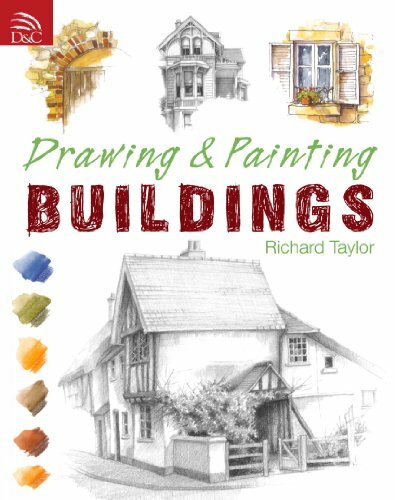 Those with basic drawing knowledge would gain more from this book.